More and more these days when we are approached by children’s brands, the first thing I tend to look at is where and how the clothes are made. Are the clothes organic? Are they produced ethically and sustainably? With the growing number of children’s brands cropping up on the market, it is becoming more and more important that these brands are held accountable for their ethics not just in the materials they use but in their manufacturing practices as well. 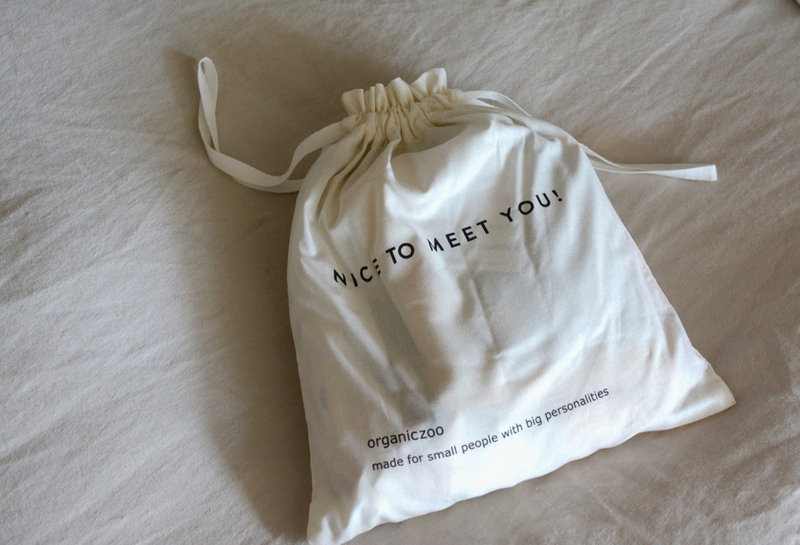 When these brands also happen to create cute clothing, that is of course the winning combo. 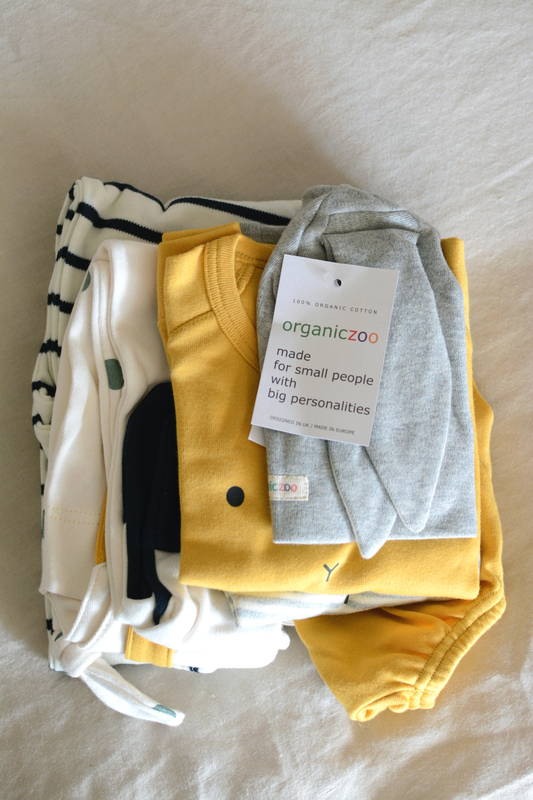 Organic Zoo is a new UK-based clothing brand creating 100% organic, ethically made baby clothing that is as cute as it is eco. 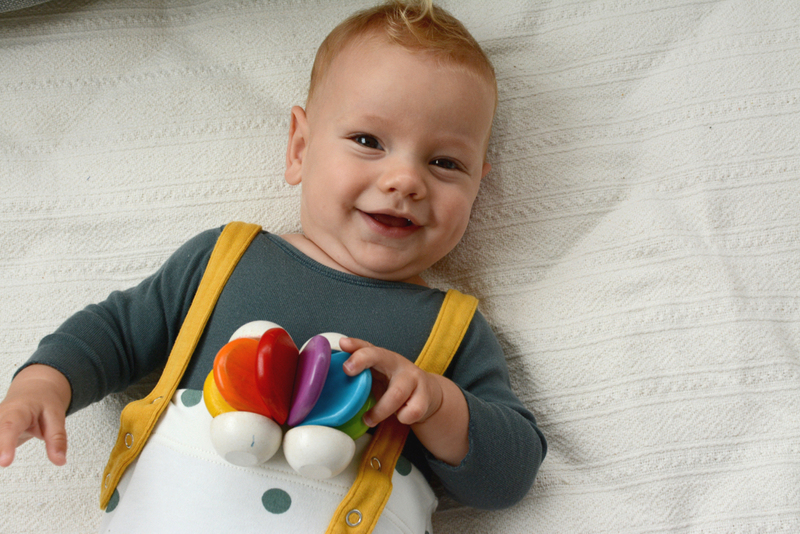 Designed in the UK, the clothing is made in Europe from GOTS certified organic cotton. The organic cotton material is thick and soft, ensuring it will stand the test of time as the clothes are passed down to siblings or friends. And did I mention cute? Organic Zoo has managed to create a stylish range that is both minimal and full of personality. Whether it’s contrasting mustard suspenders, a sweet simple animal face, contrast feet or bunny ears, all of the products have an element of fun. Additionally, everything in the collection is gender neutral — another big bonus in my book. 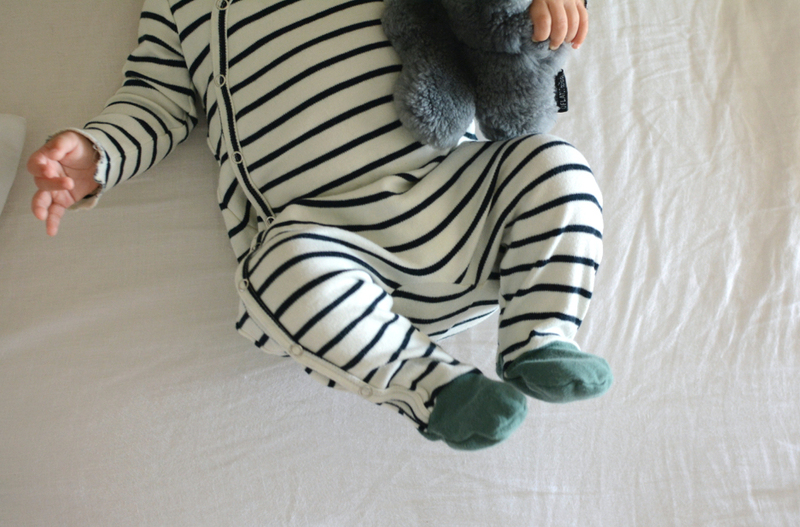 I’ve snapped a few photos of Wilkie above wearing some of his Organic Zoo clothes. 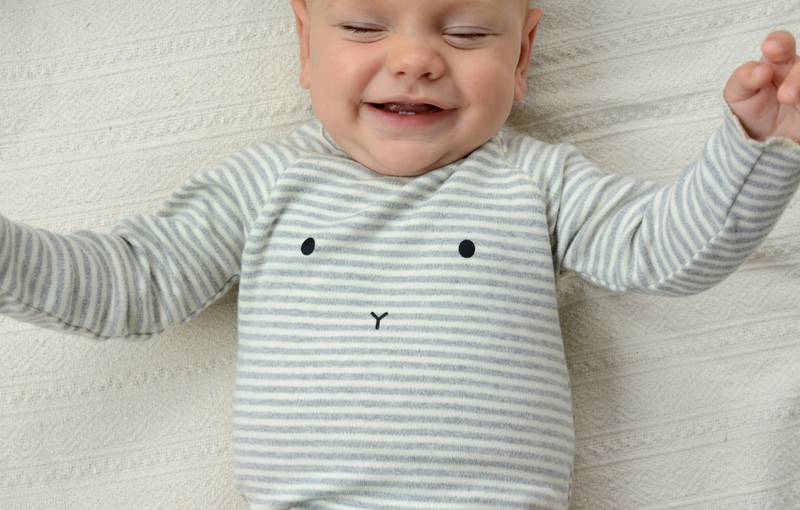 There is just something about that cute bunny face on his onesie that makes him look extra cute, right? (My big kids are always trying to dress him in this onesie because they love it so much. I got in trouble the other day when it was in the dirty laundry bin!) And the breton striped pyjama (below) with the contrast feet is one of my favourites for bed time — it’s so soft and snuggly. In addition to creating organic products, Organic Zoo is also conscious of their wastage, ensuring that all packaging and labels are made from uncoated recycled paper, wrapped minimally and shipped in recycled mailing bags — details that matter and make a difference! This post has been sponsored by Organic Zoo, a valued member of our shopping portal. All words, opinions and images are my own. Thank you for supporting the brands that support Babyccino. Ooo — the little dotted pants with straps is adorable! Suits Wilkie just right ☺️.